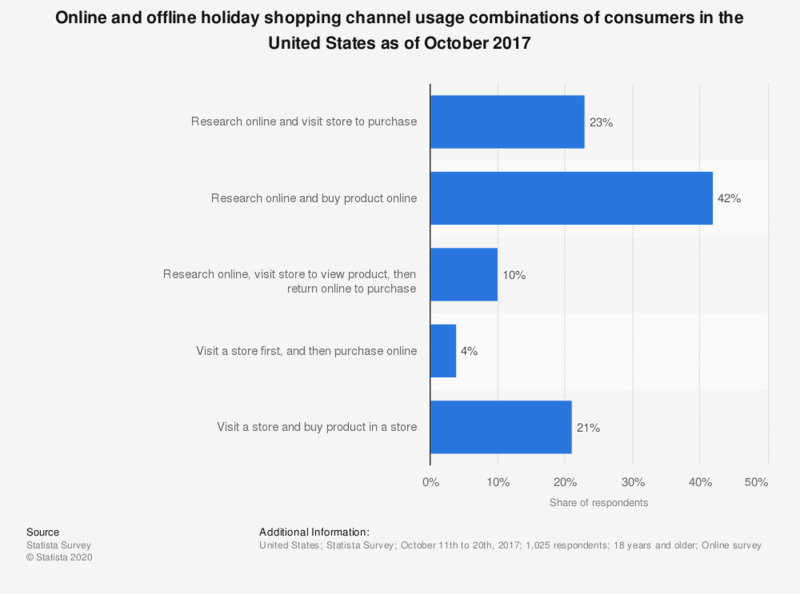 The statistic depicts the results of a survey conducted among consumers in the United States about their usage of online and offline shopping during the holiday season. During the October 2017 survey, ten percent of respondents stated that they were planning to alternate between online and offline usage by researching the product via internet, visiting a store to view the product and then ultimately purchase it online. Question: In which of the following ways do you think you'll approach your holiday shopping? Are you planning within now and a year to purchase a hybrid car?